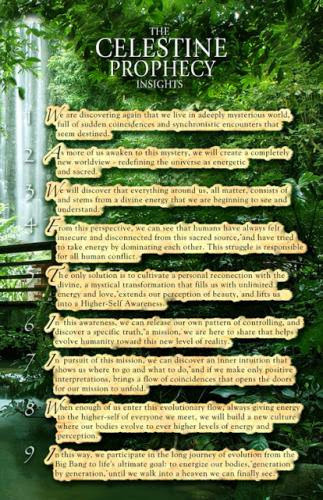 Seems the vast majority of Celestine Prophecy readers liked dipping their toes in the rising tide of new age waters via a goes-down-easy parable. For whatever reason, I’m more of a nonfiction, nuts & bolts, show me the steps, deep-dive aficionado. This just happens to be where the juice is for me, and it’s why the self-help genre has been a good fit for my career. This all came up today when someone on Facebook posted the above graphic of the original nine insights. That first book offered a perfect point of entry for people who were ready to start expanding their minds beyond the mundane matters of the “daily grind.” Redfield, blessed with perfect divine timing and flow, gave the world something it hadn’t realized it craved until it appeared.